New Baby Chicks Week 4: Moving Out to the New Coop! How is this possible? Five weeks ago, we stopped at our local TSC store and picked up six peeping, fluffy, yellow baby chicks and now they've already moved out on their own? Doesn't seem right. Todd finished the chicken coop in the dark over the weekend. Our neighbors are pretty used to the sound of his saw and hammer after dark. 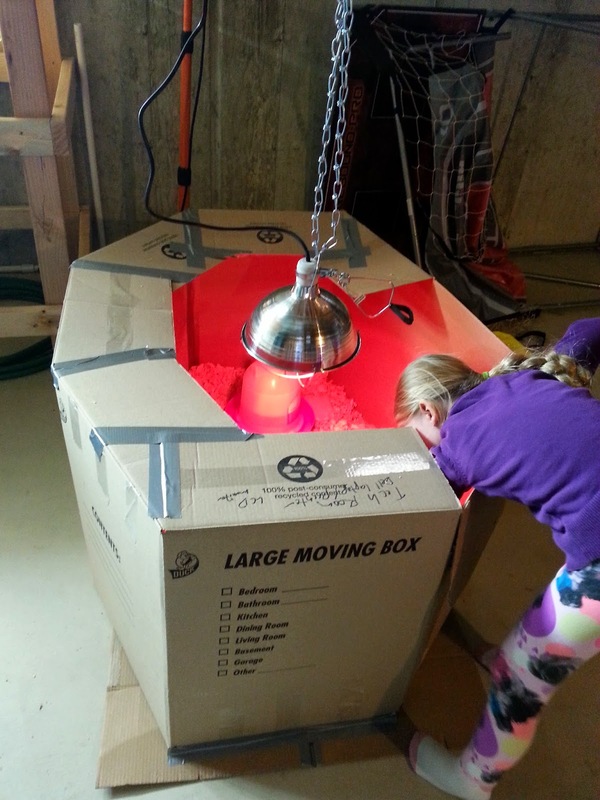 The chicks have been living in an alien spaceship-looking cardboard brooder box in our basement for the past four weeks. I highly recommend making something like this out of your old moving boxes and duct tape. 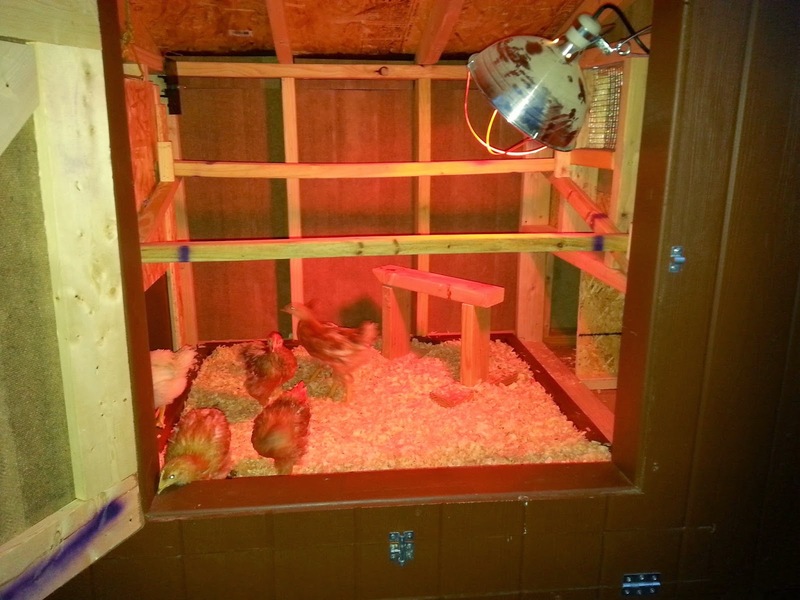 We lined it with pine shavings and only had to clean it once (only having 6 chicks probably made that possible). 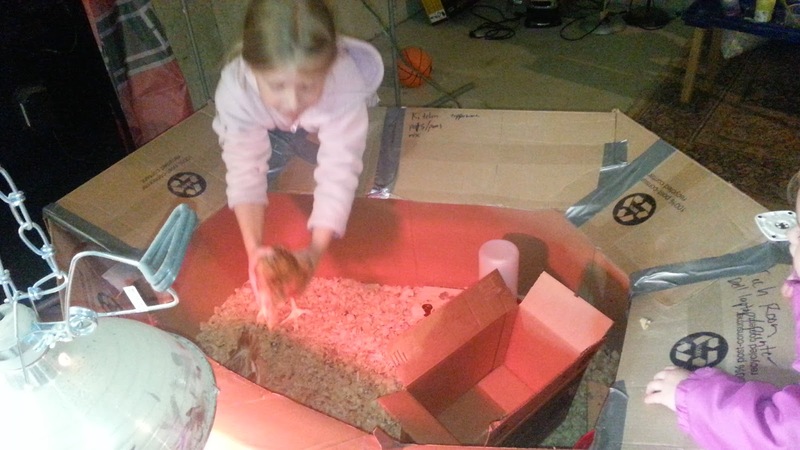 Our 8 year-old daughter, Kayla, wrangled, or as she called it,"strangled", each chicken one-by-one and moved them into the coop. "It's a looong way down if we fall off the chicken ladder, let's all just wait right here and wait for someone to go first." 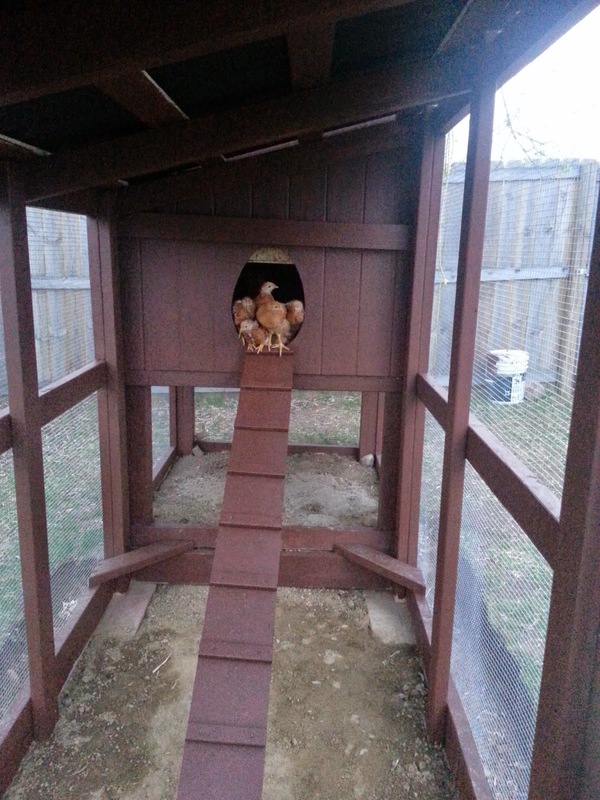 Todd has been putting a few more finishing touches on the coop. Webcam, solar lights, you know, the "usual". It's been a couple days since they moved out and they are doing great. I'm still getting used to our empty nest.